Girl Kuripot Girl Kuripot: Giveaway: Win Jazzy Sunday Brunch Buffet! 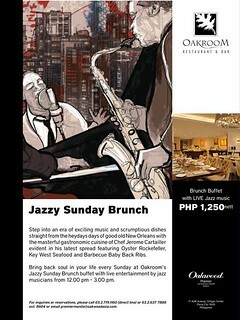 Join thru the Rafflecopter at: My Jazzy Sunday American Brunch Buffet at the Oakroom Experience. You have until October 22, 2014 12 a.m.!